Have you heard? HubSpot 3 has a new CTA Manager! Welcome back to day 2 of our HubSpot 3 blog series! Let's start with an introduction to the new CTA Manager. The impact of this new CTA Manager is substantial. It allows marketing geeks (like us!) to have the agility and flexibility they always dreamed, but never believed would achieve. The new CTA manager allows you to build, manage, and analyze every call-to-action button across your marketing universe! 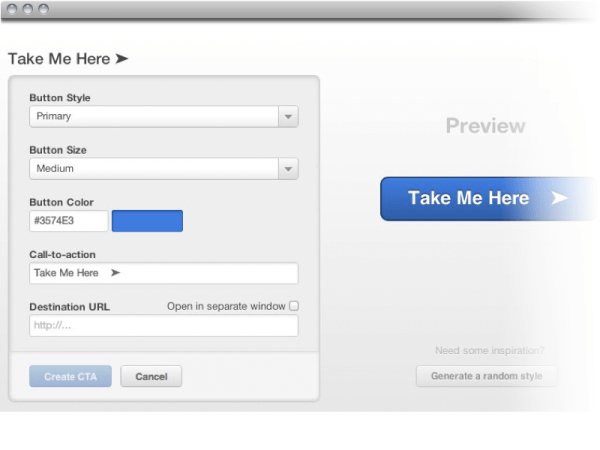 Now, you can include your website CTAs in HubSpot emails, blogs, and more. And when you make a single change, it replicates across all your content from emails to blog posts to your webpages. This means if you're using HubSpot’s CTA generator you can make changes without having to update multiple channels. Other notable upgrades to the CTA manager include: faster load times, options for click-through settings, and an improved dashboard. Remember A/B testing? It sounded like a cool idea, but took a full day to execute. No more. This tool makes it feasible and cost efficient to run A/B and multivariate tests on your calls to action. This data collected through integrated analytics allows you to nail down the right message for the right person at the right time. At LyntonWeb, we will soon be releasing the beta version of our Smart Call-to-Action Designer which will help you generate rich CTA images to maximize this new manager. Hurry and sign up to be one of the few to give this gadget a test run! Stay tuned. 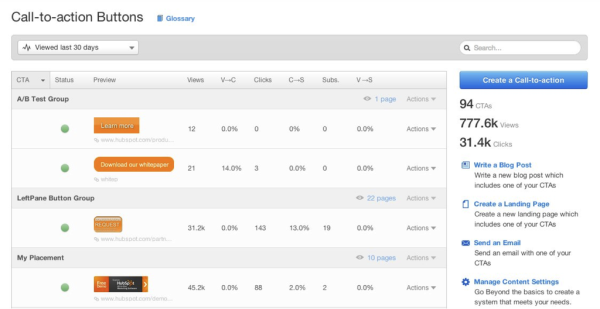 Coming soon we will be detailing HubSpot’s new Landing Pages, Smart CTAs, and Social Contacts features.